Click on the charts below to enlarge and open in a new window. Will 50 dema and 17400-17300 hold this time. Possibly yes ! 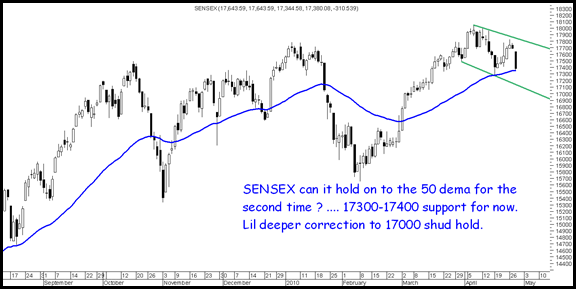 … Buying can be done in two parts at 17300-17400 and 17000 with a stoploss of 16900 and possible target of 17700. 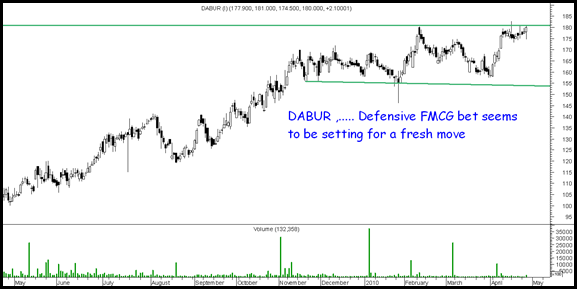 FMCG stocks which are generally considered defensives are all setting up for new 52 week highs. 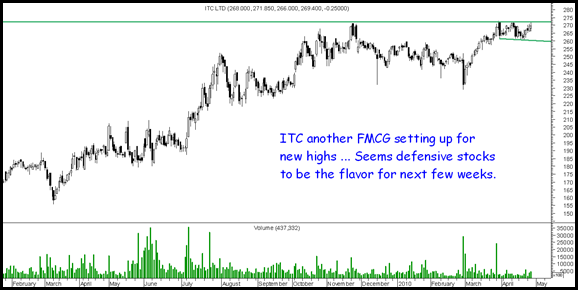 Seems the next few sessions would see FMCG rule…….. Traders can keep a watch . 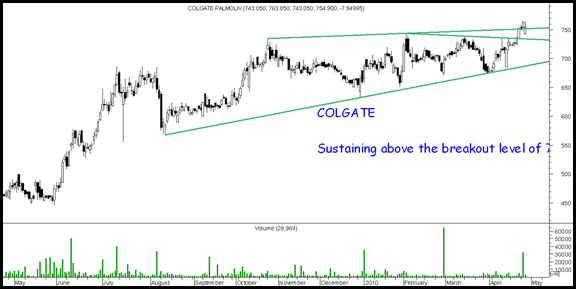 Colgate remains my favorite. Strong support at 1000-980. 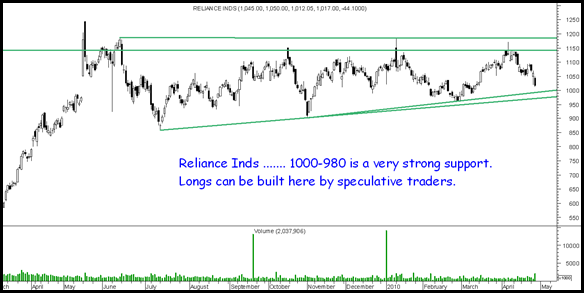 Speculative buying for bounce can be done with 960 stop. This comment was posted on moneycontrol yesterday(under kbr9121965) and your comment today is seen.”Hi again everybody time to buy Reliance near 980 levels.I have started accumulating it on delivery basis from 1020 levels.The 1120 puts are covered giving handsome profits.Time to buy Reliance 960 call at appropriate levels(980 level)and lots as per risk.It should bounce back from 980 levels to a target of 1180 and breakout of 1180 levels will give fresh target of 1400 levels.As a prudent investor do keep a stop loss of 950 level.Hope things turn out as they seem.” Thanks again for clearing doubts from investor’s point of view and saving them from losing money and unnecessary panic and grief. what is the market trend going to be in future and is it really safe to buy now? Shreyansh it would totally depend on your patience and outlook. In the near term volatility would be high. I would like to entertain your views on Accentia Tech.Is it a value buy at the current levels?.Kindly guide. The stock was covered at 110 levels in the blog in my small cap coverage. At current levels its not really a value pick though there could be some more upsides in the long run.You can look into ION exchange with a real long term view.